In Memoriam is an all new and completely thrilling new puzzle based game from the team at Ubisoft which I found highly addictive and extremely good fun. The game has many strong points such as its graphics and game play with the only downfall being the plot of the game finishing far to early for my liking. 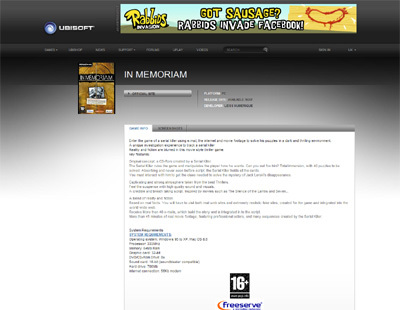 We have also compiled a Review System for this, of which In Memoriam is Rated as Four Stars, the second highest possible score available from the Game Review Team.